TMS CAD Autodesk BIM in Scotland: New [Potential Energy Savings] Chart Helps You Focus on What Matters! New [Potential Energy Savings] Chart Helps You Focus on What Matters! Autodesk have announced the new Potential Energy Savings (PES) chart. Used to help design teams understand the features of a building’s design, construction, and systems that can save the most energy. It is designed to help users focus the team’s valuable efforts only on the areas that matter most for reducing energy use. The feature is being released as a Beta until it has enough feedback. 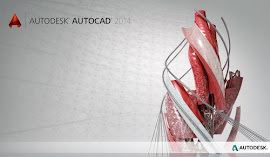 The chart is available through Autodesk® Green Building Studio® (GBS), the analysis engine behind Revit®, and Vasari®.